That’s right. After everything I said in my last post, and all the other stuff I’m working on and want to work on, I’ve been drawing a new “Jetpack Jr.” strip. And that means another will follow and maybe a few after that and…well, we’ll see. that’s just not possible. But I’m thinking something more intermittent–a week here, a week there—is probably very do-able. And probably good for me too. In the time away, I’ve both had time to re-think those issues that were bothering me about the strip, and then– time away enough to miss the work, the charge of producing something for an audience every other day, the thrill of seeing where the story goes. 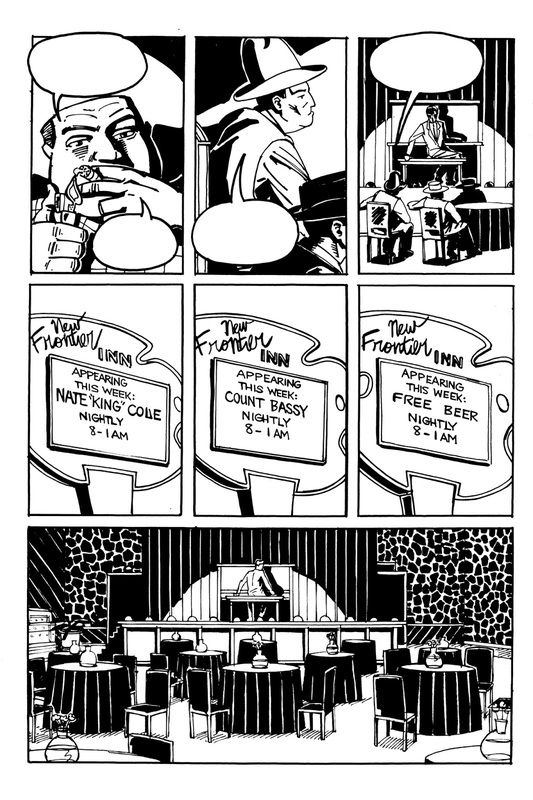 Meanwhile, I’ve been inking pages from my unfinished graphic novel, “Nice Work”-begun all the way back in 2006/7 and which ran on the lost and lamented ModernTales.com back in the day. 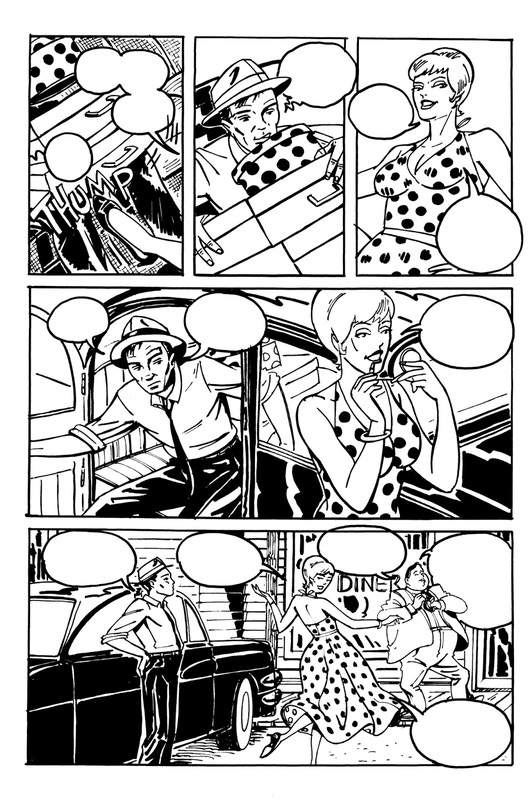 I was going to say it was interesting to go back to pages I penciled 8 years ago and am just getting around to inking now, but -at least at first–it was merely annoying. Drawing “Jetpack/PBFOS” for 5 years really cleaned up my style, so that I don’t waste so much graphite now–but these old pages-phew! so much eraser dust! Necessity is the mother-of-invention–and I went ahead and borrowed my “layer of vellum” approach on these old pages, and now it’s working just fine. Plastic Babyheads from Outer Space_work in progress-1 from Geoff Grogan on Vimeo. I’ve gotten farther than this–but you get the idea. The kids at Farmingdale High School seemed to get a kick out of it when I visited them in Regina Nicholas’ art classes yesterday. I keep plugging away at it–hope I finish it before the decade is over! That’s all for now! See ya on the new GoComics–or on Vimeo! You see, I like where you're going with your projects. And I agree: just not enough time in the day. I'm always having concept-after-concept in my head for my “webcomic ideas,” and oft-times I may start, but it fizzles out. You at least are keeping at it. As you know I've always been a big Babyhead fan, and I love Bella too… so it'll be great to see what comes from your horizon, Geoff. Thanks, Tommy! I have no idea what's going to stick, but I do know I need to see these things through to some point of completion. What comes of that? Usually not much, but I can't be blamed for not trying!